Little kid and big temper has become a ridiculous situation over powering the calmness and peace of home creating tension and frustration for the parents. For the kids of different groups parents should adopt different strategies for the slow and steady training of the kids. Kids from the age of one and a half year get attracted with colors, shapes and all kinds of sounds echoing nearby. They want to take all the things in their hands having no sense of hot, cold and good bad for playing and doing new activities for themselves. The kids under this age needs special attention all the time so the parents should deal them with great love, soft temperament and affection. The kids from the age of 3 to 7 years are very active, naughty and talkative, asks many question to the parents and most of the time they argue, shout and misbehaving showing the moods and temper for the desired things etc. The best way to deal with them is too busy the kids all the time in different, interesting activities before their demands. For the check and balance warn them earlier by saying: if you will not listen and follow us then we will not take you with us to play land and also for outing. Presenting the kids the magnetism and, charm and allure of their favorite cartoon movie or eatable thing like chocolates, ice cream, cakes, muffins, Donets etc. Kids from the age of 7 to 12 are most tedious to deal because they desires everything by their own wish and will without any restriction and hesitation. 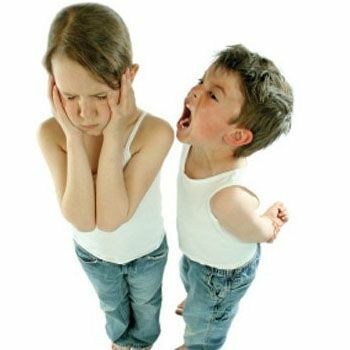 Being stubborn, out spoken, crabbiness and irritable kids react quickly against the entire situation without considering the outcomes and after effects. Try to deal these kids carefully and sensibly by showing the positive attitude of agreeing with them, sometimes not all the times. Sometimes ignoring the misbehavior and negative attitude of kids by keeping quiet it will affect the kid to think about their wrong attitude. Sometimes parents should show the harsh behavior by shouting, screaming, talking strictly or beating a little bit one or two slaps in a quick response will give the kid a sense of warning. Try to Plan a proper schedule for the kids to make them busy in their routine work including a separate time for sports, T.V and physical activities. Try to arrange trips and outing to show your love and care to make the kids obedient. Keep a close eye on their behavior by checking their friends at school because at this age kids pick and would like to follow thinking it a part of style. The most critical age of the kids for parents to manage is teen age where kids don’t agree or compromise with others. They just consider themselves the super natural persons and desired to get all the fantasies without realizing the facts of life. Teen agers rapidly attracted by the outlook charm and charisma of the thing apparently. For these kids’ parents should be friendly with great courage and patience. Guide them with great adore and fondness to realizing them the real picture of the life.